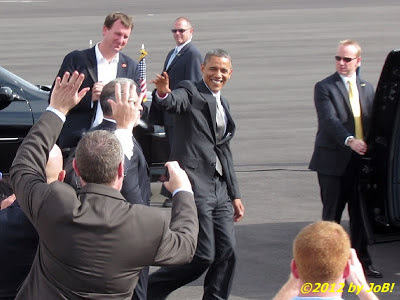 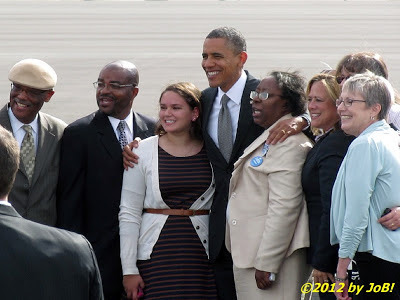 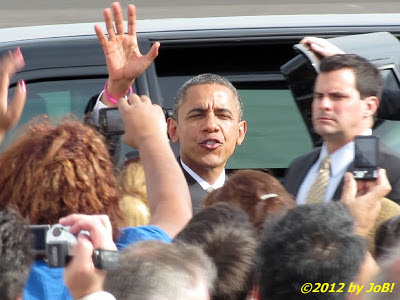 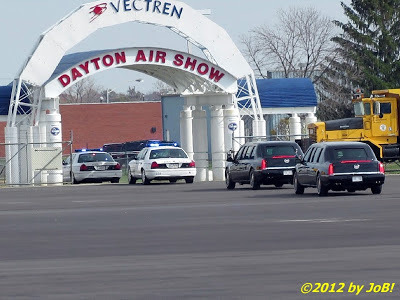 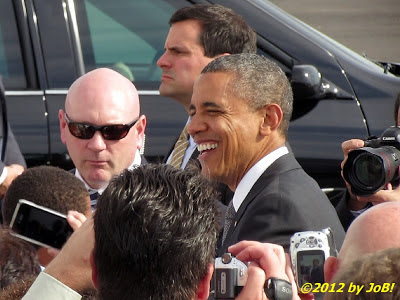 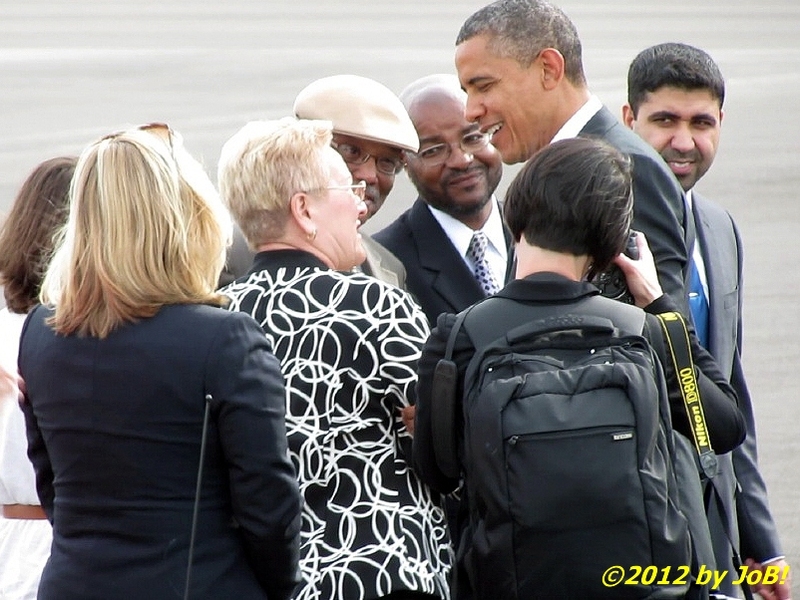 VANDALIA, OH -- Fresh off of his final debate performance against Republican challenger Mitt Romney on Monday night and a rally in Florida earlier that morning, President Barack Obama flew to Ohio on Tuesday afternoon for his 17th trip to "the Buckeye State" this year to hold a joint appearance with Vice President Joe Biden at Dayton's Triangle Park. 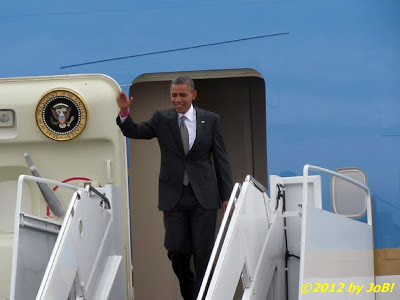 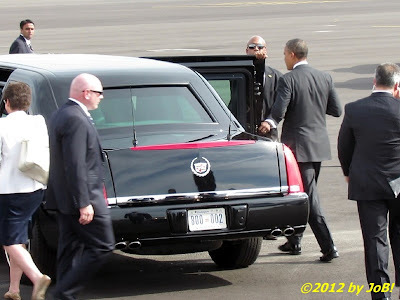 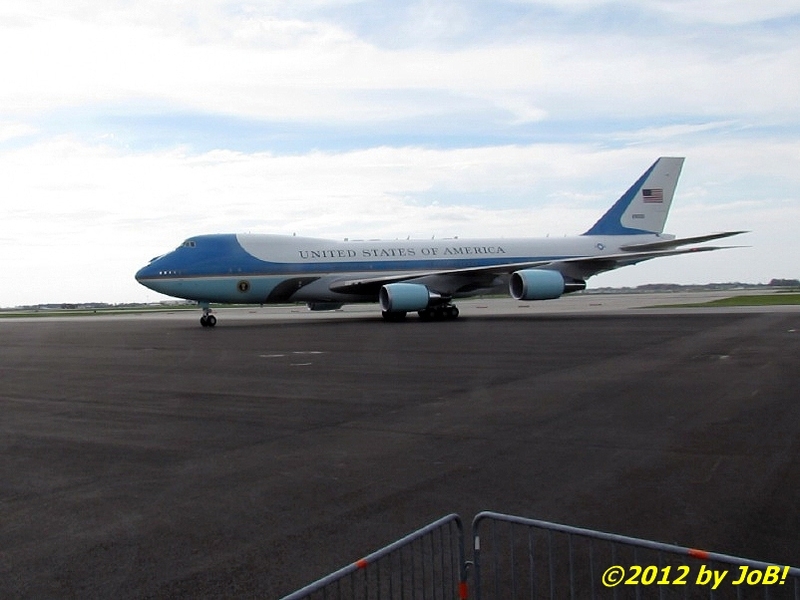 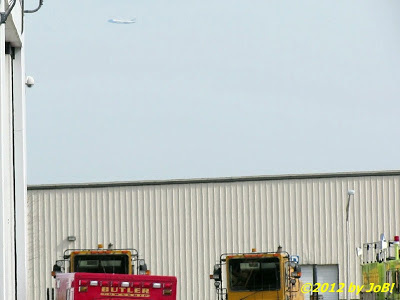 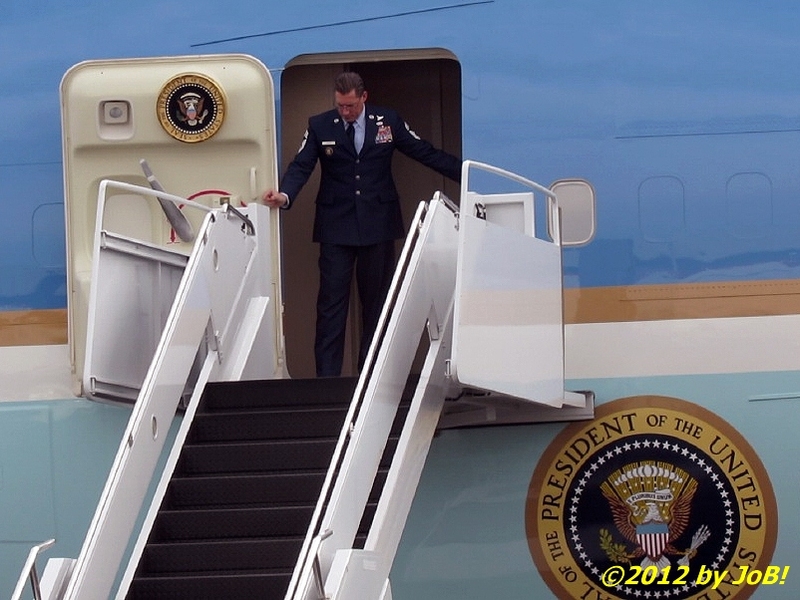 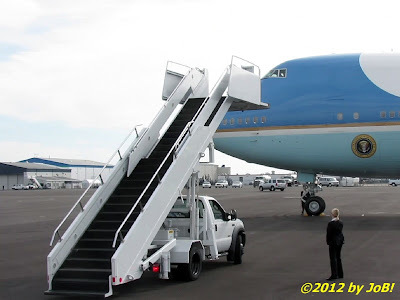 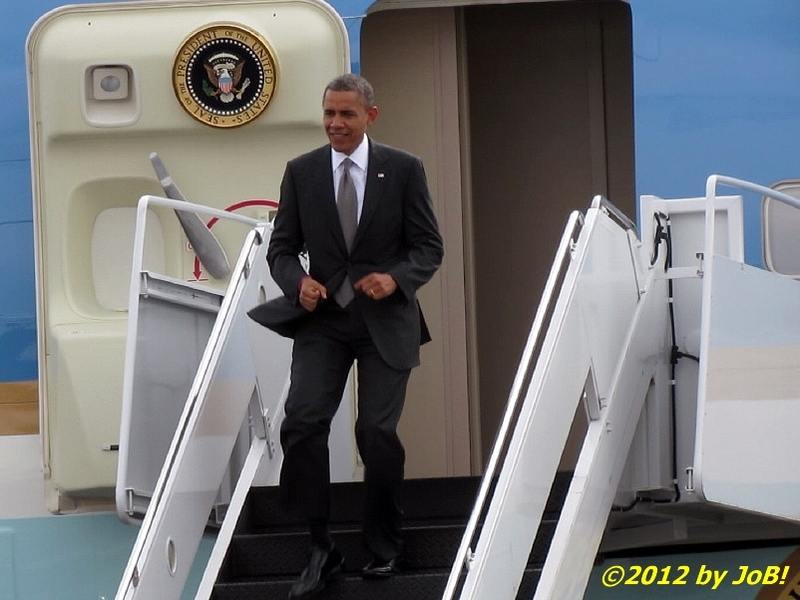 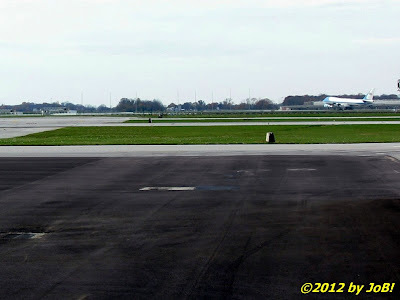 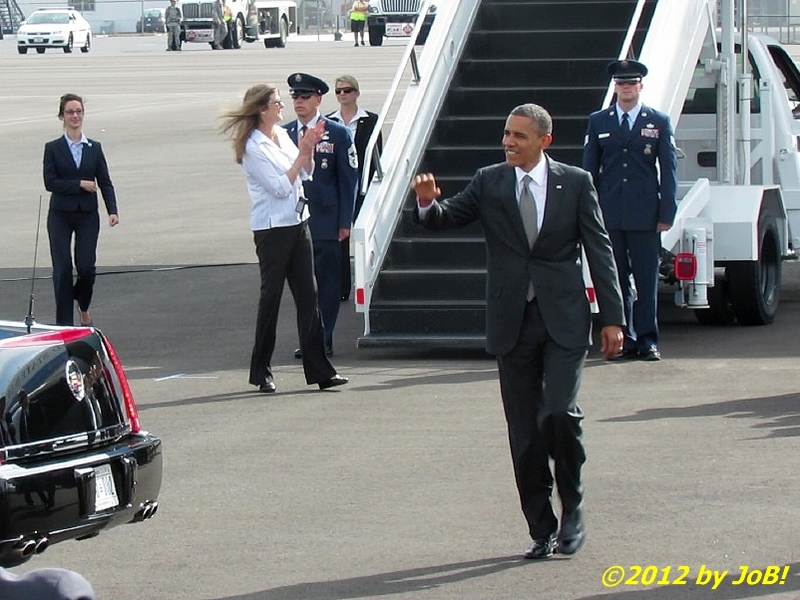 Air Force One arrived at Wright Brothers Aero, on the grounds of the city airport, at approximately 2:30PM where the president was transferred to a waiting motorcade for the 10-mile drive to the rally venue. 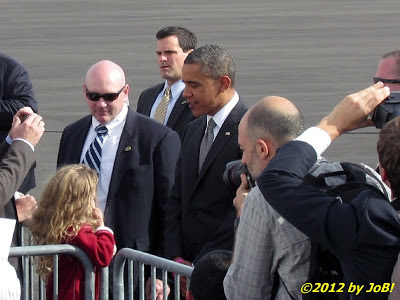 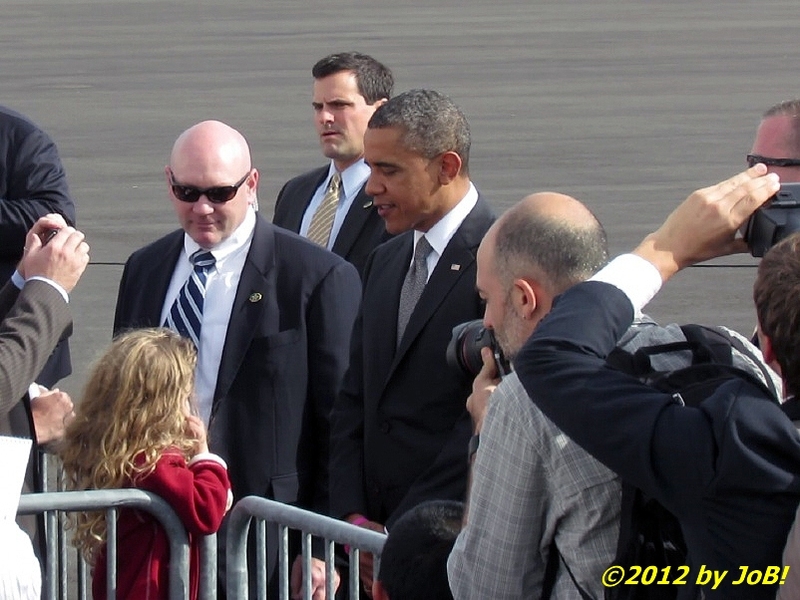 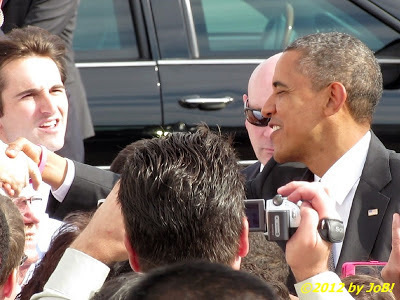 During that short stay at the airport, Obama met with a small private crowd of supporters and Secret Service family members who waited up to three hours for him to arrive. 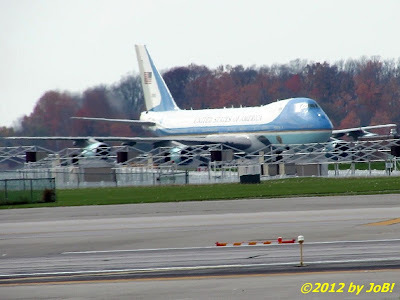 Biden, who was already campaigning in the state, flew in on Air Force Two from an event in Toledo shortly after Obama departed and was separately shuttled to the park to introduce the president.